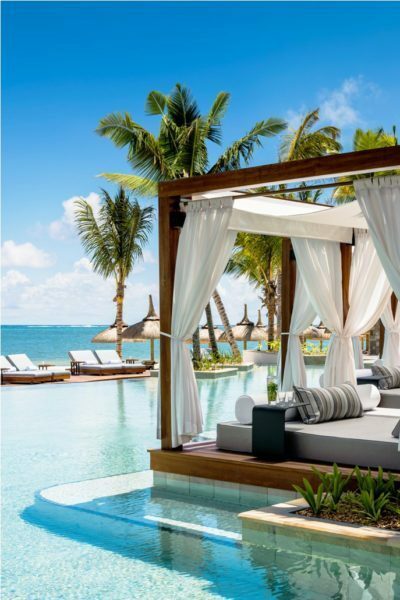 The transformed One&Only Le Saint Géran has curated a collection of one-of-a-kind experiences for guests to discover. Guests can unearth a side of Mauritius they never knew existed with illuminating excursions and hands-on experiences, designed exclusively for One&Only and tailored to each individual guest’s preferences. Nestled amongst stunning tropical gardens with sublime Indian Ocean views, the iconic resort has been completely transformed to create the ultimate Mauritian experience for today’s discerning travellers, with local nature, materials, craftsmanship and service at the heart of each re-imagined space. The reborn resort boasts redesigned guestrooms and suites with luxurious interiors, enhanced culinary experiences, a rejuvenating spa with ultra-modern facilities as well as new swimming pools and wellness areas, while simultaneously retaining what guests have always loved – a sense of exclusive seclusion on its own private peninsula and the treasured genuine service the resort is renowned for. From vibrant culinary journeys through to thrilling deep-sea fishing experiences, guests can discover first-hand some of the planet’s most successful conservation work and take advantage of privileged access to unrivaled locations and colourful local characters. One&Only Le Saint Géran is pioneering authentic Mauritian experiences for guests to discover the island’s rich nature, diversity and character. Inspired by the diverse Mauritian culinary heritage, One&Only Le Saint Géranoffers exclusive epicurean experiences ideal for amateur chefs and foodies. Guests can join Executive Chef Marc de Passorio or Chef Vikash Coonjan for Shop, Cook& Eat, a journey that begins with a visit to the vibrant Flacq Market to shop for local groceries and learn about Mauritian produce, followed by a visit to the local fishermen to discover the fruits of their daily catch. Back at the resort, guests learn how to turn their fresh ingredients into a delicious Mauritian-inspired meal, while the in-house Sommelier advises on the perfect accompanying wine selection, before sitting down to sample the rewards of a morning’s discovery. For those looking for a more exhilarating foodie adventure, the One Bonfire experience begins with a morning of invigorating deep-sea fishing on board a 55-foot fishing boat to uncover the best of the ocean’s treasures. Back on dry land, after well-deserved restorative spa visit, guests gather for a sunset celebration around the crackling bonfire, to enjoy their freshly grilled catch of the day. Promising an exclusively Mauritian experience, guests can partake in The Rebuilding of ‘Le Saint Géran’ and leave their own personal imprint on the island by helping to build a model of the mighty ‘Le Saint Géran’ vessel at the island’s Marine Museum. The replica of the famous naval ship, which belonged to the French East India Company and wrecked off the Mauritian coastline in 1744, has been commissioned by the One&Only Le Saint Géran in partnership with the museum where construction is taking place over the course of one year. For a unique and regal day out on the ocean, Feel Like Royalty offers a luxurious day onboard a beautiful vintage boat used by Queen Elizabeth II. Built for Her Majesty in the 1950’s, the Lady Lisbeth is the perfect vessel for an elegant leisure cruise around the Mauritian lagoons and neighboring islands. With private luxury transfers and a dedicated skipper, butler and spa attendant, guests will experience idyllic lagoons for swimming and snorkeling, onboard massages, a private champagne picnic on a deserted beach, ending the day with a sunset dinner on board. Guests also have the exclusive opportunity to explore Mauritius with the One&Only Le Saint Géran team as their expert guides. General Manager Charles de Foucault, a great Harley Davidson enthusiast, has designed a Born To Be Wild tour of the island on two wheels, filled with his personal insights, favorite places and memories. Those looking for an ocean adventure, can Meet The Sharks with Hotel Manager Michele Giraudo, PADI Divemaster and accredited SSI Shark Ecology specialist, who leads guests on the trip of a lifetime to meet these captivating Indian Ocean neighbors. Michele takes guests onboard the hotel’s luxury Legend 33 speedboat and head to Fosse aux Requins and The Cathedral, to swim with up to fifty Grey Reef and White Tip sharks in crystal clear waters. For those looking to explore the unique culture of Mauritius, One&Only Le Saint Géran has curated a series of Port Louis Unwrapped tours offering guests privileged access behind-the-scenes of the colourful island capital to experience points of cultural interest, exceptional private spaces, impressive views and inspiring local characters. Discover the hidden corners and celebrated icons of Port Louis and its history on a private walking tour, or become immersed in the past of the ‘Old Port Louis’ with a private visit to the AapravasiGhat Museum, a UNESCO World Heritage Site and archaeological wonder. Mauritius is famed for its rich and diverse cultural and artistic heritage, and Inspired By Art leads guests on a day of creative discovery, beginning with a private audience with celebrated artist and collector Salim Currimjee, at his gallery in Port Louis to introduce island’s artistic past and present. This is followed by a one-hour walking tour of the city’s striking street art, followed by lunch in the grounds of beautifully restored French colonial mansion, a private home open exclusively to guests of One&Only Le Saint Géran. Guests can head off into the wilds of the island for the first-hand discovery of some of the planet’s most successful conservation work. One&Only Le Saint Géran has partnered with the Mauritian Wildlife Foundation (MWF) to offer guests a Walk The Wild experience, a private expedition led by a knowledgeable MWF eco-ranger through valleys and protected nature reserves, climbing waterfalls and gorges. Breath-taking views and an unforgettable encounter with Mauritius’ indigenous flora and fauna, including the Pink Pigeon, Mauritius Kestrel, and even giant Aldabra Tortoises, make this an unforgettable experience. Guests can take flight by helicopter from One&Only Le Saint Géranto experience Mauritius as never before and discover the incredible Underwater Waterfall. This 30-minute ride to will allow views of this extraordinary sight just off the coast of Le Morne on the South-West of the Island, a spectacular illusion caused by silt movement on the ocean bed. Or for those looking for a thrilling perspective, The Epic Jump is a tandem skydive capturing the wild beauty of Mauritius from 10,000 feet. Experience a bird’s eye view of the island, taking in breath-taking coastal, inland and mountain scenery.